That’s it. All 3 books finished and though the 1st book was a lovely read, I had to say that the next one was quite good, the last one a drag. All in all, I guess I was just after Peeta who eventually outshined Katniss from my point of view. If I had not cheated reading the last part wherein Peeta, not Gale, ended up with Katniss, I guess reading the book would have taken me a longer time. I’m glad the story ended the way it did, but a lot of characters died in book 3 that it depresses me. Prim, of all people, to think that Katniss volunteered and underwent all the disaster just to protect her, died in the end. I wanted to say, what the?! when I reached that part, and had to read all over from when Katniss went hallucinating over the last blasts from the parachutes to check if I’d been reading things correctly. It was just so sad, and I had tears in my eyes when Buttercup returned to the Victor’s Village and Katniss had to drive him away because Prim’s dead. * sigh * What was I thinking anyway? That after book 1 Peeta and Katniss would snuggle in each other’s arms at District 12? Maybe not, or Katniss would lose the charm she has when she’s tough. Affection is Peeta’s forte, not hers. Besides, Hunger Games is not a love story (really, is it not?) and didn’t I hate love stories anyway? 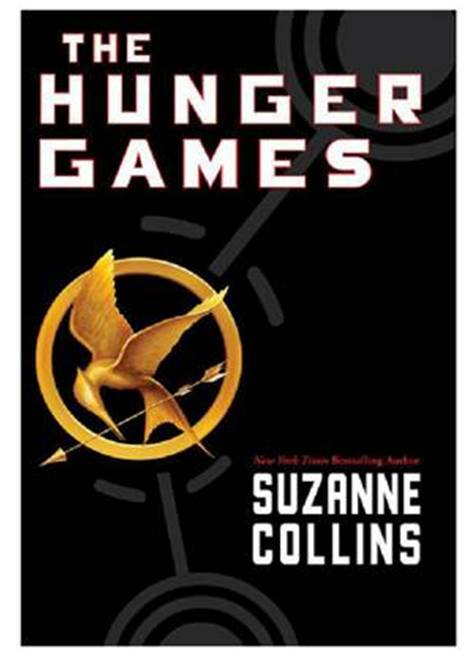 But reading through the 1st part of book 2 at least made me wanna freeze the story to the part where they lived in Victor’s Village adapting an impressive routine; Katniss hunts, Peeta bakes, and Haymitch, their mentor, drains liquor bottle after bottle. The story of the Hunger Games was completely out of my mind then. I just wanted to know what happened to the characters I’ve grown familiar with and loved. In book 2, there was more humour and more characters were explored. It would have been a cheery scene after the Tributes’ parade except for the nagging fact that this is a fight to the death. Finnick was funny in his own sensual way and Johanna’s viciousness was ironically appealing. Both characters were likewise realistic. I particularly had to laugh when she stripped herself naked of the stupid tree costume and went about how idiot were her prep team compared to theirs. I was thinking, I’d like to have a friend like her, if only I could trust her not to break my neck in a fit of petty quarrel. And though Finnick was presented in an aggressive way, it later turned out that he was a great and loyal ally. The Quarter Quell, which was a “special” kind of Hunger Games done every 25th year, was altogether okay thinking that I don’t have to feel scared for Peeta or Katniss’ life. I knew they’d survive. There was just one problem. The other tributes were likeable enough to make me want to keep them. My expectations were met as all of these favorite characters endured the Games. Afterwards, I just couldn’t wait for more romantic encounters between Peeta and Katniss. Sadly, there’s none after the Games ended in book 2. In book 3, there was less mention about Peeta in the beginning except that I knew he was kept prisoner at the Capitol. Since he was my favorite character, it explains my previous assessment that book 3 was a drag. I just kept waiting for him to re-appear until curiosity was killing me I could no longer contain questions of whether he is still alive or if he’s going to be mentioned again. So I had to cheat. I read the last paragraph before the epilogue. There was Peeta, and he ended up with Katniss after all. Somehow my agitation subsided. Next, I couldn’t wait until he’s rescued. When he was, they discovered that the Capitol used a torturing technique and the effect was he no longer recognized Katniss. Quite the opposite, he viewed her as an enemy. Violent hands replaced the steady hands which were always ready to offer her comfort. The altered Peeta wanted to strangle her or even more passionate, bash her brains out. So next, I was only waiting for the old kind Peeta to emerge again. The cheating had to be excused because my anticipation of the things that would happen to Peeta helped me manage to read through the dreadful combat parts. Dreadful was not even attributed to the violence. I just find war and action movies (stories) boring and book 3 was mostly on plotting a war against Capitol and you could just imagine the details on military and such. Plus, Collins kept on killing the characters I love, Finnick then Prim it was just so heart breaking. * CONTAINS SPOILERS, LOTS OF SPOILERS! For those who haven’t read the book, this paragraph and the next are all that you should read or I might spoil the book’s flavor to your content. My first impression of the book was a televised contest, much like the reality game Survivor we watch on TV, although this was a final word in the meaning of survival, where people battle to the death literally. And unlike the Survivor series, contestants in the Hunger Games were more obligatory than voluntary. Who wants to risk their life for a game after all? Over the weekends, I have finished the book at incredible speed considering that I have 2 toddlers clinging to me every minute that they’re awake leaving me only when it’s night and by that time, I’m too exhausted to read even a couple of pages. What I did was to wake up earlier and while the rest of the family is still asleep, I devoured the book like a hungry wolf. At this rate, I read the whole book by Sunday morning, and it wasn’t to my credit but to the book all by itself. Somehow, it has an unseen force which made it hard for me to stop reading and left me still pondering even when the story’s over. From the beginning, the story was already intense. With the world characterized by the situation we so currently prevent at present to happen, the rich holding the common people by the neck, it’s no wonder that the adrenalin rush might be one reason to keep the readers going, no, yearning for more. And the heroine, Katniss, is just so likeable. I have always loved females who represent a paradox of being strong and weak at the same time. The Hunger Games was something that the Capitol invented for Panem to remind the people how they are so totally under their hands. Each 12 Districts are mandated to sacrifice Tributes, one girl and one boy from 12-18 years of age, to battle each other to death. Katniss was spared during the drawing of the names but the ironic twist was, her younger sister, just 12 and gentle as a flower, was drawn instead. She loves Primrose more than anything and voluntarily takes her place. To add intensity, the boy who got drawn, Peeta, had an important role in Katniss’ life as well, although they have no direct relationship. During Katniss’ most desperate times, Peeta once got himself beaten up by his mother when he deliberately burned the bread to have something to give to her when even the garbage bin she’s scavenging was empty. They were a lot younger then but it’s quite presumable enough, that Peeta had loved Katniss all his life. The odds were definitely not in Katniss’ favor during the drawing of names. If I could have read as fast as the DVD player can forward, I would have done it. Surely, there has to be only one winner and no doubt it will be Katniss but because Peeta is so willing to sacrifice himself for the love of Katniss, it’s just heartbreaking if he dies. From that moment, I began wishing that they both live in the end but the question would be how? Or if Peeta dies, how too? The next series were charming as well when they get teamed up with a novice but creative designer, Cinna, who managed to make them both outstanding at the parade where Tributes were introduced. They needed this much attention because although they’d be very much dead by the end of the Games, they’ll need to attract sponsors to aid them while they fight to stay alive as long as they can. Their chances were not altogether attributable to Cinna though. Katniss did manage to impress the Gamemakers by shooting an arrow right through the roasted pig’s direction, which seemed more interesting to the judges at first than her skills with archery. And despite the other Tributes who careered this game from when they were young, usually coming from richer Districts, she outscored them all with 11 out of 10. But what made her most likeable and even unforgettable to the people was Peeta’s confession. During the interview with the Tributes, he confessed that winning is a difficult thing because the girl he loves for all his life came with him to compete for the Games. Katniss was furious and Peeta was compelled to say that this act was part of strategy to get more attention, and sponsors. Although the prestige was beneficial, it also reaped hatred from the most vicious Tribute, Cato who promised to hunt her down right then. Inside the arena, Peeta’s real intentions and motives were confusing. Well, of course, for the readers, it might have been clear from the very beginning, from the moment Katniss remembered the incident with the burnt bread that gave her hope when she was at the brink of giving up, that Peeta was trying all means to protect and let her win. One incident, she discovered Peeta teaming up with the brutal Career Tributes. But when close encounters with Cato arose, Peeta warned her to run and he received a cut from Cato’s sword in return. Katniss was left wondering at this change in events but she knew that she was once again indebted to Peeta for he had saved her life. She started to worry about his condition, because Cato would never leave him without revenge. She just knew that he was still alive as long as his face did not appear in the sky, which was the Games’ way of telling the contestants who among them had just been eliminated. With their love story stirring interest to the people of Capitol, the Gamemakers made another twist in their rules: they allowed 2 winners that year if both of them come from the same district. Katniss immediately searched for Peeta. The next events were somewhat romantic save the fact that both of them were trapped in an arena fighting for their lives and that she found Peeta camouflaging himself in the mud, the last resort of the dying. But I have always waited for the moment when Peeta became open with his feelings while Katniss took this as an act, again to give entertainment and attract sponsors. I had never been a fan of love stories, they are the least appealing genres to me. But Katniss was so innocent and Peeta was so noble which made the love story part pleasant to me. For the rest of the games, Katniss went all means to restore Peeta to life. Although I had to admit, her innocence about Peeta’s true feelings was a little overdone. I mean, at some point inside the arena, she must have discovered and more importantly, felt that Peeta was not at all acting. This could do less difference in the story after all. She could just pretend to love him back for the audience which is what she did anyway. It’s just that I think, learning about Peeta’s true feelings seem more realistic. They defeated Cato last, but not by their efforts alone. Sometimes, when things were a bit slow with the Tributes, no encounters, no casualties, the Gamemakers would bring in a few dangers themselves such as the man made fire and the mutated wolves which was mostly responsible for Cato’s death and Peeta’s fatal leg injury. As if the Gamemakers were not yet satisfied, they tried to revoke the rule about 2 winners. I found this part very moving when Peeta took out his knife and as an instinct, Katniss pointed her arrow to his heart and was a little too late to realize that the knife had been released at from his hands. This shamed her much but Peeta convinced her to kill him, that to die is what he wanted and when she let go of the weapon in her hand, he removed his leg’s bandage to bleed to death. There has to be a victor. This principle gave Katniss the idea which saved them both. If they both died, then the Capitol had failed to give a victor. Finally, they agreed to just eat the poison berries together in an act of suicide which was of course, interrupted by the Gamemakers as both of them were declared victors in that instant. Now we know that Peeta’s motive to let Katniss win was because of his love for her. Katniss on the other hand has different motives, as demonstrated in her earlier instinct to kill Peeta. Because she realized that she was becoming more and more indebted to Peeta, even if she wins, she’d never get out of the arena for the rest of her life, and I agree. It will haunt her forever if she killed the person who gave her only love from the beginning. So she’d rather chosen death because winning meant lifetime imprisonment in guilt. And in fact, if it was I in her shoes, I’d probably have fallen in love with Peeta already. It’s been years since the buzzing about this great new book first burst out and I often found myself envious of the owners they talk (or write) about their interesting remarks. My impression was that the book was set in the future when the world suffer with great poverty and people, who might have been friends in some ordinary situations, fight each other to death for survival. Intense right? But being the thrift-spend person that I am, and the best-selling novel that the book is, I had to restrain myself until the prices dropped (or I was just hoping it would cost less over time). Sad to say, even now, these books are way beyond my budget. Admittedly, I do have the cash, it’s just that I don’t think I’d be able to read the book (books, it has now 3 series) without fighting with my own conscience. Good thing there are people who share the same outlook as mine and offered a solution that might not totally replace the enjoyable feeling and scent of each printed page nevertheless, with the help of technology, the option is not bad at all. The answer! Free e-books! Bes had just emailed me the e-books for all the series and I’ve just started reading the Hunger Games during break times from my office computer. I’m on page 24! This is definitely intense I couldn’t put it down, or rather, I couldn’t close the application except that conscience constantly tells me I have to work hehe. I decided to bring it home though.